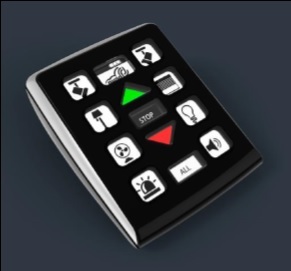 Frankfurt, HR – Light + Building 2018 – Hall 9.1, Booth E46 – March 18-23, 2018 — CBCC Domotique SAS is a French company which was created in April 2013 to design, develop, manufacture and market home automation (“HA”) peripheral devices, i.e. connected devices for the command and control of devices in the home ranging from heating/AC to alarm systems, to shutters, windows, doors, garage doors, gates and other points of entry, to lights and power outlets, to presence, flooding and smoke detectors, to sirens and doorbells, to audio-video systems, etc. 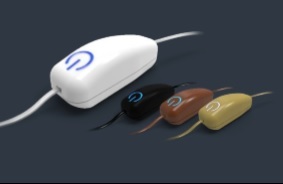 The products of CBCC Domotique are marketed under its own Swiid® brand name (Simple Wireless Integrated Devices) and introduce on the market its first product, the SwiidInter™ Z-Wave® cord switch in 2015. A one-button remote control with which the user can trigger programmed scenarios on a Z-Wave® hub or can operate directly up to 8 other Z-Wave® devices on the same network, e.g. the plug of a lamp at the other end of the room, a lamp equipped with another SwiidInter™ cord switch, roller blinds or shutters, a siren, etc. 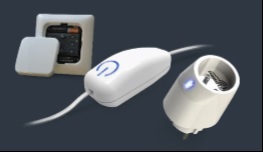 SwiidInter™ is currently still the only remotely controlled inline cord switch in the Z-Wave® world. In size, it is quite similar to an ordinary cord switch and is mounted on the electric cord in the same way. Its compliance with CE standards (specific for cord switches) has been attested to by LCIE, the largest French control laboratory for electrical and electronic equipment for loads up to 660 W. SwiidInter™ has of course alsobeen Z-Wave® certified. SwiidInter™ is a “classical” Z-Wave® product as the Z-Wave-Plus stack was not finalized when CBCC Domotique was developing the software for its SwiidInter™. In view of the wide acceptance of this device, a new and improved Z-Wave Plus version is being developed and should be available in the second half of 2018. 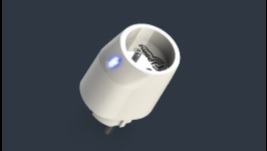 Allows the user to turn on and off remotely any type of electrical device plugged into its socket. Because the SwiidInter™ can be used as a one-button remote control, CBCC Domotique became interested in remote controls, as it was felt that in certain instances it is a more user-friendly way to control Z-Wave® especially in a single room than smart phone : no need to grab the smartphone, make sure it is connected to Wi-Fi, load up the Z-Wave® control app, wait until the app has scanned the entire Z-Wave® network, navigate to the right room and then switch on or off the desired device. So much easier to reach for a local remote control which resides in the room. This led to the development of the vintage-looking RemSwiid™ remote control and its big brother the more hi-tech eRemSwiid™ remote control. The vintage-looking RemSwiid™ is a full Z-Wave Plus controller which was certified in the 3rd quarter of 2017 and which will be commercially available in the 2nd quarter of 2018. 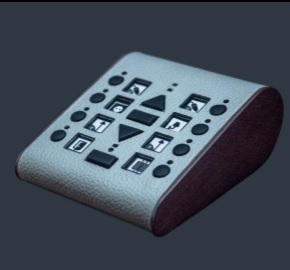 This a table-top remote control which is covered in genuine leather with wood sides. Although it is certified as a primary ZWave® controller, the device will probably be used as a secondary controller placed in one specific room and dedicated to controlling only those devices which one wants to control from that location. The eRemSwiid™ is a modern version of the vintage-looking RemSwiid™. From a Z-Wave® point of view it is functionally exactly the same as the vintage-looking RemSwiid™ and is programmed and operate in the exact same way. It will be certified as an extension of the vintage-looking RemSwiid™ and should be available commercially by the 4th quarter of 2018.